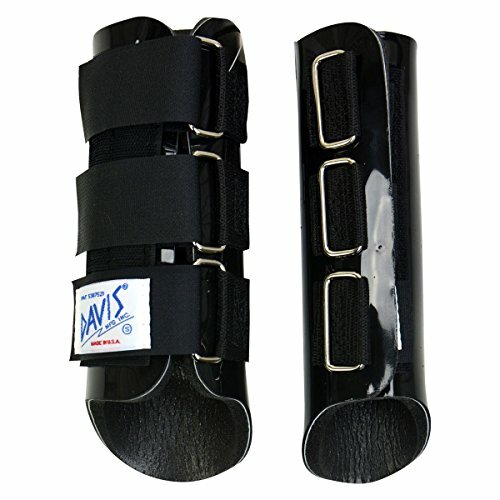 The Davis® Splint Boot has a strong reputation for providing exceptional protection. These Splint Boots are the perfect choice for preventing injuries while training and performing as well as rehabilitation if an injury has occurred. 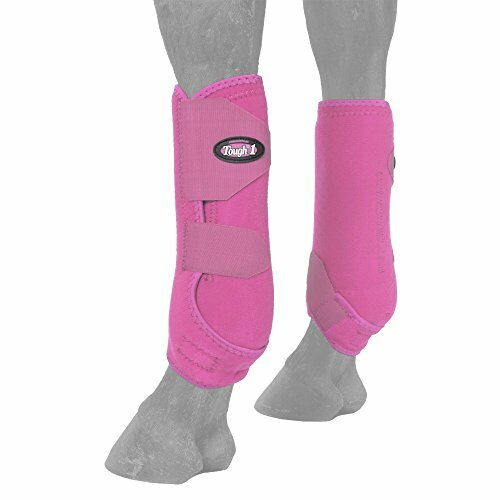 Use the Davis® Splint Boots for western pleasure, eventing, dressage, trail riding, reining, cutting and hunter/jumper disciplines. Product Details: Clean, easy-glide outside shell. No exterior tubes to restrict or interfere with movement or performance should your horse cross fire. 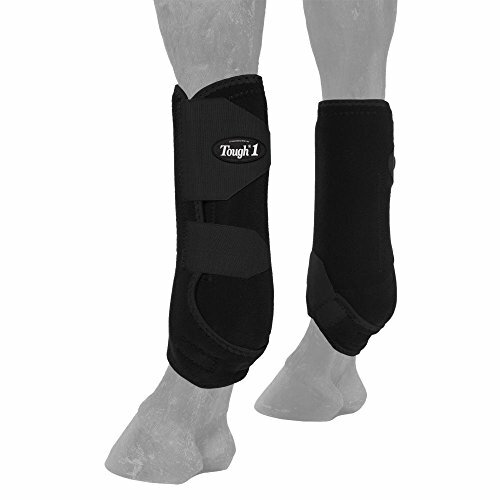 Inside shock absorbing lateral support tube delivers maximum protection to the splint and cannon bones, the sesamoid, the tendons and the soft tissue areas. The boots stay lightweight and flexible as they do not absorb water due to the closed cell foam interior design. These splint boots do have a right and left boot. Can be used on either front or hind legs. 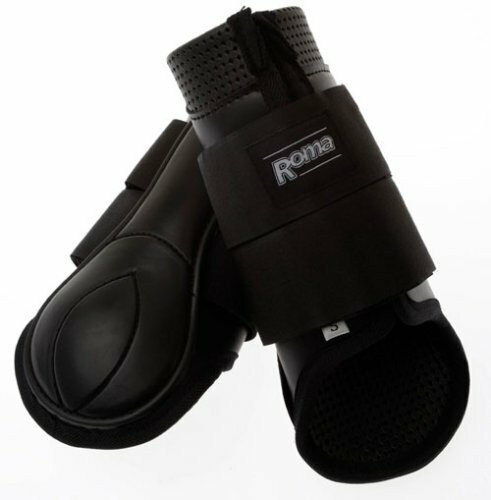 This boot offers more coverage towards the back of the fetlock than standard hind boots. 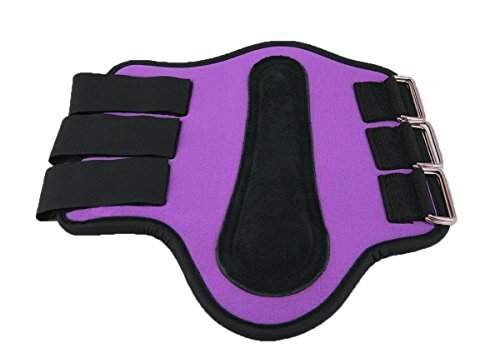 Soft, easy care waffle neoprene lining and contour molded splint/fetlock plate. Handy touch tape straps. Tough-1 Vented Sport Boots Front Designed to fit snug against leg to keep out water, mud and dust. One piece, user friendly design provides extra support. 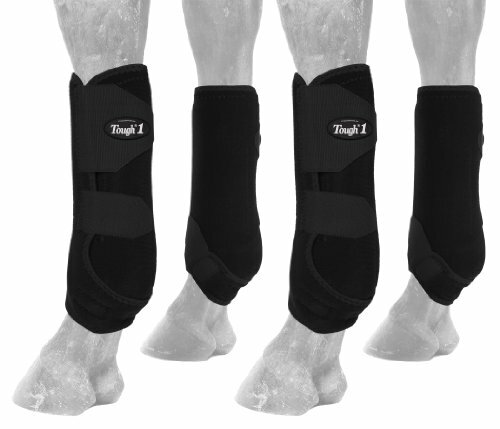 Contour design supports fetlock area. Double layer of air-flow (vented) neoprene. Single tab swith quick-grip" closure for easy on/off. Tab extension is easy to grip when removing and locks large tab in place. Sold in pairs. 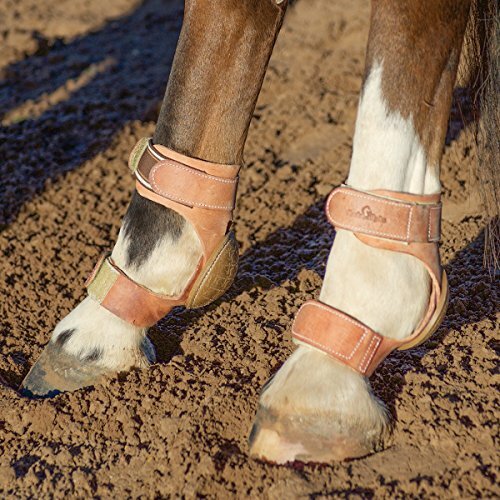 Support and help protect your horse's legs from being hit by the opposite or rear hoof. These long wearing boots are heavily padded neoprene with suede in the splint area. Slide through buckle and Velcro(R) closures for a secure fit. Sold as a pair. Please note: Colors may vary slightly, due to differences in dye lots. Improved design with an even closer contour fit. Lightweight, less bulk. Air-flow perforated neoprene to allow the leg to breathe, releasing heat. Two strong "quick grip" closures make these boots easy to put on correctly every time. Bell boots stays in place with cutback shape and "quick grip" tab. Fits like a second skin to protect your equine athlete while keeping the dirt out. Easy to clean. Medium and Large (black only). Purple, Pink, Black, White, Neon Green, Royal Blue and Red. Tough-1 Vented Sport Boot Rear Designed to fit snug against leg to keep out water, mud and dust. One piece, user friendly design provides extra support. Contour design supports fetlock area. Double layer of air-flow (vented) neoprene. Single tab swith quick-grip" closure for easy on/off. Tab extension is easy to grip when removing and locks large tab in place. 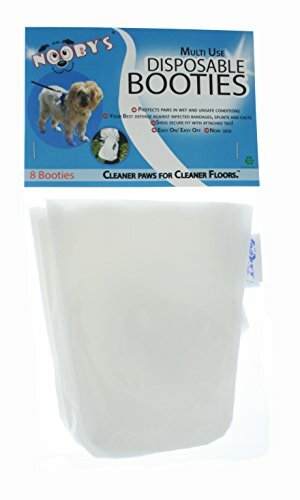 Nooby's Waterproof Dog Boots 8 PK - Multi-Use Reusable Disposable Maximum Protection for Clean and Healthy Paws. Protects wounds, bandages and casts during short walks outdoors. 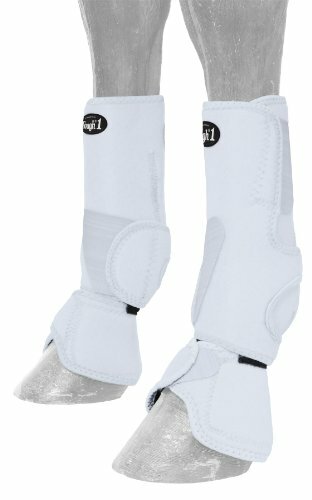 (M 2.5" - 3.5"
Looking for more Easy Fit Splint Boots similar ideas? Try to explore these searches: Ash City Lightweight Vest, Printed Flannel Sheet Set, and 10' Cantilever Umbrella.